Are you able to go on holiday and truly disconnect? These people are few and far between! It’s hardly surprising, as the first message about mobile roaming fees hits your phone before the plane has touched the ground in Barcelona. Yes, the Internet has become an essential part of most of our lives, and this includes when you’re abroad. The good news is that even if you’re not staying in a hotel or apartment that offers a connection, Wi-Fi in Barcelona is easy to find! Whether it’s a compulsive urge to keep up with your virtual social life on Facebook or Twitter, or the convenience of What’sApp and mobile messaging services, communication today means being online. It’s no surprise that the first question uttered by many travellers is, “How can I connect to the internet in Barcelona?” Fortunately, there are several options. There is a free Barcelona Wi-Fi network offered by Barcelona City Council, with 439 connection points around the city. 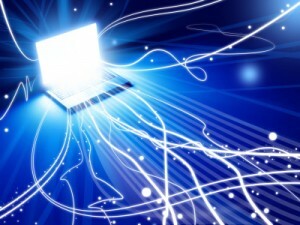 This is a basic but useful free Barcelona internet service which enables you to browse websites. Users agree to the terms of service and can connect at the speed of 256kb/sec. Places where you can connect include by the beach, in the parks, and many of the city’s squares. 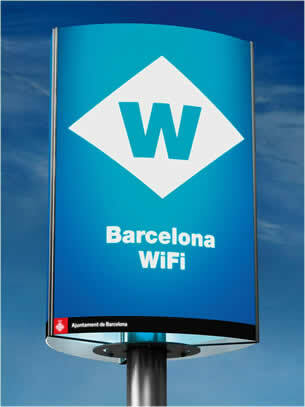 Look out for the blue Barcelona Wi-Fi signs around town. Internet cafés in Barcelona are scattered throughout the city, and since prices vary significantly it’s worth checking before you sit down. In the Born area, these include the Born Internet Café on Carrer Barra de Ferro, 3 (near the Picasso Museum and Jaume I metro), and another one on the right of Santa Caterina Market. There are several Internet points in Gràcia, such as Ciber Virreina on Carrer Asturies 78, one in Plaça Rius i Taulet, and a couple on Carrer Verdi. Raval, the Eixample, Barceloneta, and the rest of Barcelona’s districts are also packed with “locutorios,” which offer Internet and phone booths for cheaper calls abroad. You will find Wi-Fi in many Barcelona bars and cafés; look out for the standard black and white sign. These are usually closed networks available only to paying customers, and you’ll have to ask for the network password. 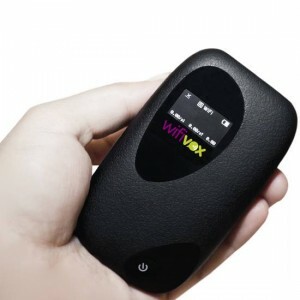 If you need or want a more convenient internet connection in Barcelona, the new Wifivox portable Wi-Fi gadget can come in really handy. The service was first introduced in Barcelona in the summer of 2013, and has already been snapped up by countless visitors. It’s a pocket-sized piece of technology that allows up to 10 people to connect online from any kind of platform; laptops, smartphones, tablets, you name it, and is an evolutionary step forward from the USB dongle, whose use was limited to one person and their laptop. Wifivox covers all the national territory, so if you’ re planning a road trip or working around the country and need Internet in Spain you can take it with you. It can be reserved online and delivered to your accommodation, and you can leave it in the reception when you go. They have an office in Barcelona, on C/ Agullers 18 in Barceloneta, where you can also rent your Wifivox. Aside from not being restricted by your location, you totally avoid the roaming fees. Prices are from 6,99€/day, minimum 2 days rental, for unlimited use. 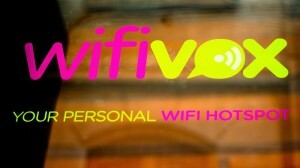 If you’re renting with Apartment Barcelona, you can get 5% discount on your Wifivox. We asked the Wifivox team how they thought this up, and discovered that like all great inventions it was born out of their own desire for it to exist. They were already working on other online businesses, and since one of the partners was based in the UK he would often need to connect to the internet in Spain with different devices. What he really needed was to be able to connect everything anywhere, at a good rate. This is the gap in the market that they have successfully filled. And however you choose to stay connected, make sure your top priority is to enjoy your real roaming experiences through the streets of Barcelona. This entry was posted in Home, Tourist Guide, Useful Information and tagged barcelona free, barcelona guide, barcelona useful info, travelling around barcelona, visiting barcelona. Bookmark the permalink.